A bench of Justice Atul Sreedharan has laid down seven-point landmark guidelines for the police and the subordinate courts over handling of cases in which the government doctors are accused of patient’s death due to negligence. “Looking at the rising trend of roping in doctors working in the Government Hospitals by the next of kin of persons dying during the course of treatment at Government Hospitals, this Court considers it essential to lay down guidelines for the police and the courts below while dealing with the cases implicating doctors working in Government Hospitals and Health Centres”, the court said. The guidelines were issued by the court considering various judgment of the Apex Court in such cases. That, all allegations relating to negligent conduct on the part of a Government Doctor for which a prosecution u/s. 304-A IPC and/or its cognate provisions, or under such other law involving penal consequences is sought, the same shall be enquired into by a Medical Board consisting of at least three doctors, constituted by the Dean of any Government Medical College in the State of Madhya Pradesh, upon the request of the Police, Administration or the directions of a Court/Tribunal/Commission, within seven days of such requisition. The doctor so selected by the Dean of the Medical College concerned to sit on the Medical Board, shall not be inferior in seniority and experience to that of an Associate Professor. 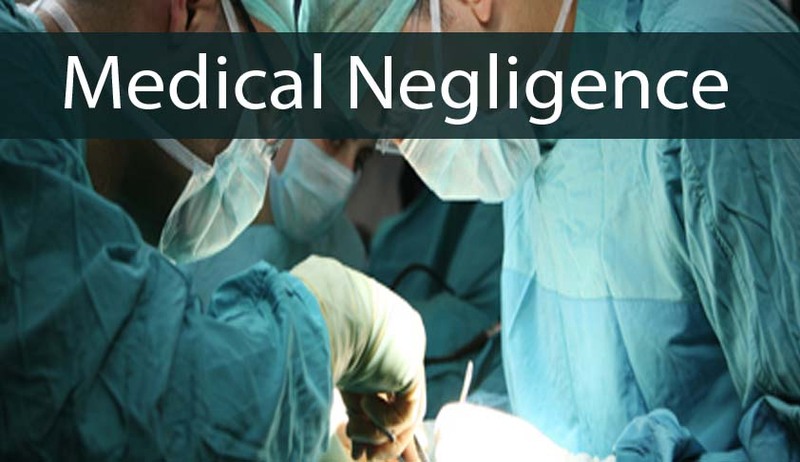 The doctor against whom such negligence is alleged, shall be given an opportunity by the Medical Board to give his reply/explanation in writing and if the doctor so desires to be heard personally, he shall be given such an opportunity by the Medical Board. However, if the Medical Board is of the opinion that the request for personal hearing is with the intent of procrastinating the proceedings before the Board, it may, for reasons to be recorded, waive the opportunity of a personal hearing and proceed to decide the case on the basis of the documents/treatment record and give its finding. The Medical Board shall endeavour to complete the exercise within sixty days from the date on which it is constituted and upon completion of the enquiry, submit the report to the Police, Administration or the Court/Tribunal/Commission, as the case may be. The police shall not register an FIR against such a doctor in the absence of the report of the Medical Board referred hereinabove and also, only when the report by the Medical Board has held the doctor prima facie guilty of a Gross Negligence and not otherwise. If a complaint case has been preferred U/s. 200 Cr.P.C, there shall be no order u/s. 156(3) Cr.P.C unless the complaint is accompanied by the report of the Medical Board adverted to in guideline 1 with prima facie finding of a€œGross Negligence on the part of the Doctor. However, if the complaint is not accompanied with a report of the Medical Board, the Court may ask the Police to enquire into the case u/s. 202 Cr.P.C. The police, if so directed by the Court, shall approach the Dean of the Medical College for the constitution of the Medical Board and thereafter place the report of the Medical Board before the Court concerned. If the opinion of the Medical Board is one of a Gross Negligence on the part of the doctor, the Court concerned shall direct the police to seek sanction u/s. 197 Cr.P.C from the State Government. The State Government shall, within thirty days from the date of such request for sanction, either grant or refuse the same, which the police shall convey to the Court concerned. Thereafter, the Court concerned shall either dismiss the complaint case against the doctor by exercising jurisdiction u/s. 203 Cr.P.C or issue process u/s. 204 Cr.P.C and try the case in accordance with the law. The court allowed the petition filed by the government doctor and quashed a complaint case pending against him in the Judicial Magistrate First Class Court at Sagar.